How To Permanently SIM Unlock Blackberry- Instantly! UnlockBase offers you 3 different easy, safe, and convenient ways to unlock your Blackberry phone. You can even get your code in an instant! There’s no need to be a geek because all you need to know are the following. 1. 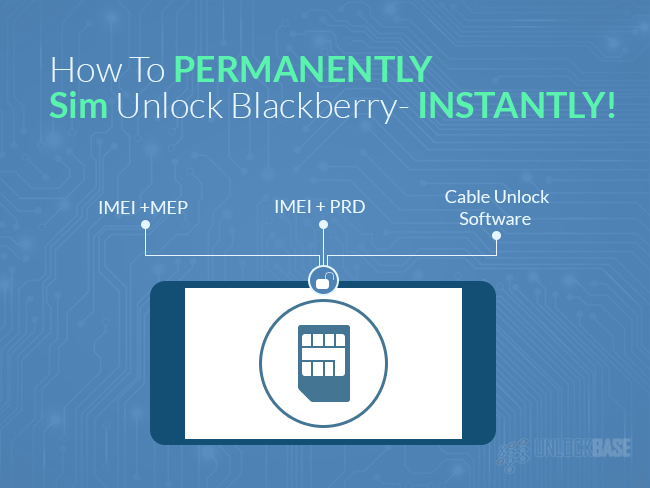 Unlock Your Phone Using “IMEI + MEP” or “IMEI + PRD” – Simply find your Blackberry’s IMEI and MEP and/or PRD number for us to calculate the unlock code. 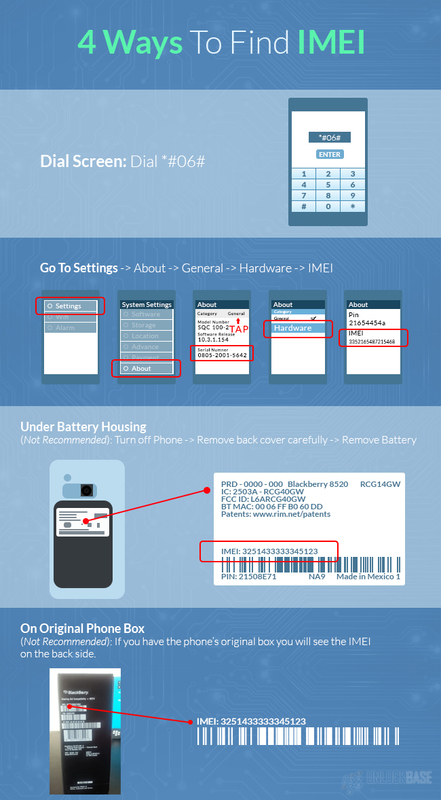 The IMEI is your phone’s serial number. On the other hand, the MEP and PRD are specific codes about your Blackberry that will help us determine the correct unlock code for your phone. You can get the MEP or PRD of your device and get the sim unlock code in an instant. 2. Unlock Your Phone Through Direct Cable Unlock – If you find the first two processes confusing, you can also choose to unlock your Blackberry through our Cable Unlock Software. Through our Cable Unlock Software, you will be able to unlock your phone with a little help from your computer. It’s a simple plug and play process and you can just easily enter the License Number we’ll give you to allow the unlock to push through. 3. Order a Permanent SIM Unlock Code – We supply Blackberry unlock codes for 217 Blackberry cell phone models. 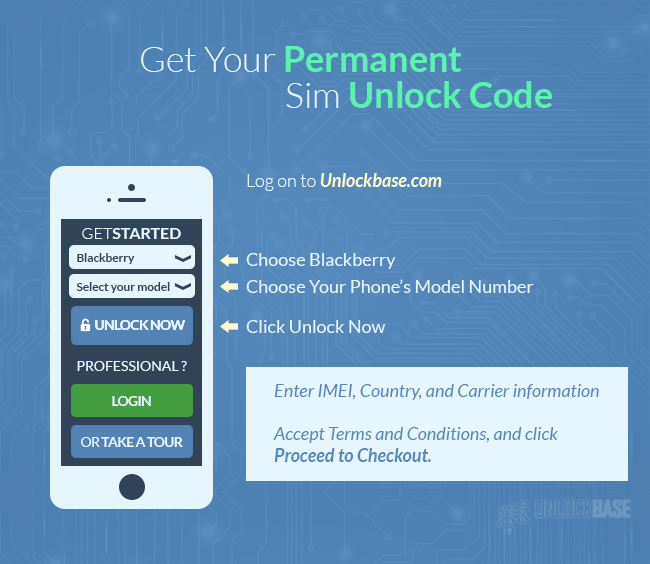 It doesn’t matter if it’s an old Blackberry, or one of the latest releases, with UnlockBase you will find a solution to successfully unlock your Blackberry, fast. There’s no need to send us your phone, just provide us the Serial Number (IMEI) of your phone and we will promptly deliver your unlock code. Either you unlock through MEP or PRD, it’ll be the same of the same price and unlock process. The matter between choosing which service to use will depend on which data is more conveniently accessible for you. On Original Phone Box : If you have the phone’s original box, you will see the IMEI on the back side. 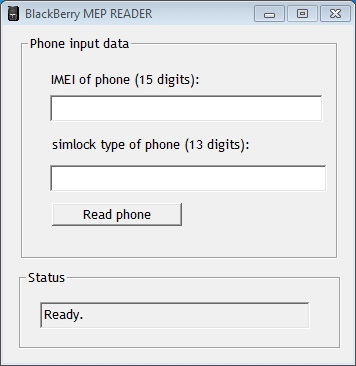 With the cable method, you will have to download a file in our website which is the Blackberry MEP reader. This is exclusively from UnlockBase and the download process is super easy. It will also instruct you to add Blackberry drivers on your computer if necessary. Simply go to: http://www.unlockbase.com/download/blackberry-mep-reader-software-by-cable.zip. Since this is obviously a zip file your computer will be automatically downloading this or you’d have to click allow to download it. Install the Blackberry Driver. While installing the driver, let’s tweak a phone settings on your phone to allow the software to read it. Uncheck Media Card Support, Mass Storage Mode Support, and Auto Enable Mass Storage. Save all Settings and exit. If there’s a password, temporarily disable them for a more seamless process. Go to Options > Security Options > General Settings or simply type Password on search bar. Uncheck Enable. Save Settings and exit. Open Blackberry MEP Reader on your computer. Connect Blackberry phone to your computer via a USB cable (the cable that originally came with it). Your MEP should be there in a minute or two. It’s pretty easy. You simply download a software, install Blackberry drivers, temporarily disable added password on your Blackberry and storage, and then connect it via a cable to your computer. Take note that our software is designed only to read the MEP of your Blackberry and the purpose it serves for. No data from your phone other than that will be taken. Nonetheless, if you don’t have a cable or if you are using a Linux or Mac, you can use the next available method. This method lets you get the MEP code using your keypad. You will have to take note of a few codes during the process, so it will be helpful if you have pen and paper handy. However, this doesn’t work on all models. Go to phone’s Main screen. Access Help Me Menu: Press Alt + H (caps) at the same time – 1. Pearl & Sure-type phone: Press and Hold Alt + type E, A, C, E; 2. Storm phone: Hold the Back Arrow + Tap screen’s Top Left, Top Right, Top Left and Top Right. You will see the image illustrated above. On your computer or any other device go to this page: https://www.unlockbase.com/widget/blackberry-escreen-keygen.php. Type the details it’s asking for: PIN, App Version, and Uptime. Follow everything including the decimals. Click Generate Key. Wait while it generates the key. Type the key on your phone. You won’t see it appearing on the screen, so just type the letters once. If you are typing numbers hold the Alt key. If you are going to close the screen the uptime may change and you may need to restart the process again. You will then see the Engineering Screen Contents. Go to OS Engineering Screens. Note: we are not changing any setting on your phone, we are simply navigating through its systems to get the MEP code. Take note of your MEP and send it over to us along with the IMEI. If you find that finding the MEP is a lot more thorough than you expect, you can also choose to unlock your Blackberry via IMEI+ PRD. Do note that we recommend the IMEI+MEP method because there are instances where the PRD is not consistent on some Blackberry devices. Look for PRD on the battery housing. 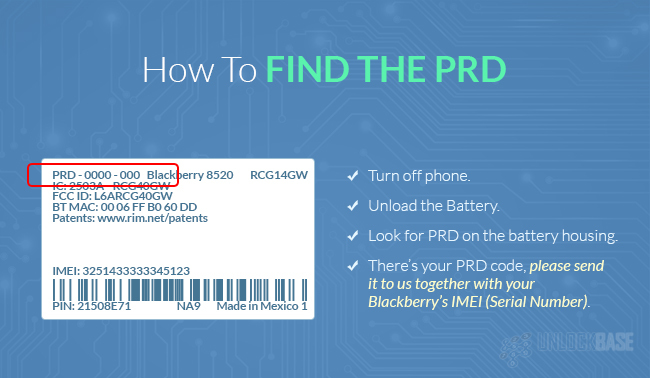 There’s your PRD code, please send it to us together with your Blackberry’s IMEI (Serial Number). Once you have this information, you can now proceed on ordering your Unlock Code for Blackberry phone from UnlockBase. Before we go on how to do that, let’s explore one more way, you can have your phone unlocked without the need to enter any unlock code – Cable Unlock Software. The Cable Unlock Software is an exclusive unlock software offered by UnlockBase. Before you download the software, please check if your Blackberry is one of our supported models for this unlock process. Do take note that before ordering the Cable Unlock Software on our website, you should have the original cable that came with your Blackberry phone (or an equivalent if it works). Here’s a complete guide on how to unlock your Blackberry phone via the Cable Unlock Software/ Direct Unlock Process. Enter your email address to receive your License. Click on Proceed to Checkout Now. You will receive an email from UnlockBase and it will contain the link from where you can download the Cable Unlock Software (it’s unique for each customer) and all the instructions to guide you all the way. Right click on the icon and run as administrator. On the LICENSE box, please paste the License Number we have given you via email. Wait for LICENSE INFO details to load. Click on NEXT-TUTORIAL. You will see this on the lowest portion of the box. You will now see a new screen which has instructions. Please follow as stated. Connect USB Cable To Phone and PC. Wait for it to load. 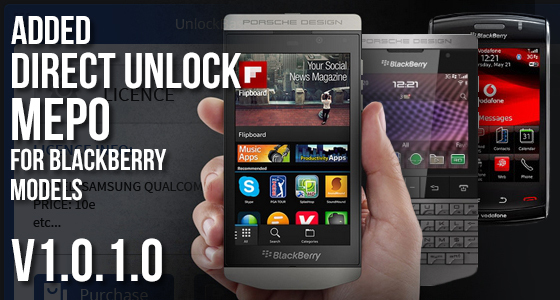 Once the unlock is done you will see a message at the bottom that says: Blackberry Blackberry (model number) UNLOCK—– END! This means that your phone is now successfully unlocked! Accept Terms and Conditions, and click Proceed to Checkout. Before you can proceed on entering the code, we will be sending you our Eligibility Requirements page and you have to tick on the checkboxes if you already did all the pre-unlock requirements (which we will discuss later) and if you agree on all that’s stated therein. This is our guarantee that should the unlikely event that your phone will not be successfully unlocked using our code, we will provide you a refund. It is your protection and our guarantee. Once you submit this back to us, it means you confirm your order and we will then send you the corresponding unlock code/s. Congratulations! Your Blackberry phone is now successfully SIM unlocked! Eligibility Requirements vary per phone model and manufacturer, so if you are unlocking two different Blackberry phones they will each have a unique unlock process and pre-unlock requirements. Please follow the added instructions diligently. There are four common requirements on all phones (manufacturers). These are also just a few of the major reasons why our unlock codes don’t work. If your phone is running a custom OS it means that it is not using the original/stock ROM or operating system that Blackberry had officially installed in it. If you are not the first owner of the phone, you can check this via the Settings. Although Blackberry developed its own software, there are certain models which are running on Android. So, if your Blackberry is running Android, you need to check whether it is still using the stock Android OS or not. A few of the most common custom Android ROM/ OS developers are Cyanogen, XDA, etc. If your phone is hardlocked, it means that you have zero unlock attempts. It is probably because you have entered the unlock code wrong too many times or the last owner of the phone did. Unfortunately, we cannot unlock hardlocked phones using an unlock key. Before you confirm your order, you will be given an instruction on how to check the remaining unlock attempts on your phone (it varies per Blackberry model). Please diligently do so. The Mobile Device Unlock App is pre-installed on all T-Mobile and MetroPCS phones. So if your Blackberry is from any of these two mobility providers, please check if this app is already installed. If you unfortunately, mislooked this app and confirmed your order for an unlock code, then it will not be unlocked. We will not be able to provide you a refund for this, though. A Blacklisted phone is a phone that is either reported lost or stolen by the owner or by the mobility/telco service provider. Your service provider will put your phone on a blacklist if the device is under a postpaid contract and was not paid in full or if there’s an unpaid balance. If that’s the case, you will not be able to use your phone to any network. A Blacklisted phone cannot be used with any carrier in your country. Although, we can safely assume we can unlock a Blacklisted phone, you will not be able to use it as a phone anyway, so why unlock it? If you have any questions or if you need help with unlocking your phone, don’t hesitate to send us a message. We’re ready to cater you anytime of the day! 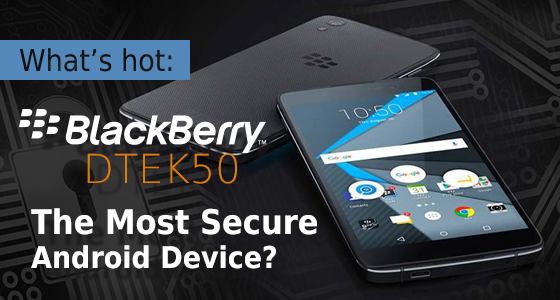 What’s hot: BlackBerry DTEK50 – The most secure Android? BlackBerry is still trying to play catch up with the smart phone some nine years after Apple iPhone started the revolution. Last year it launched Priv, its first high-end smart phone powered by Android, but it was matched with a high-end price of $700, which priced it above arguably the most admired smartphone of them all, the Samsung Galaxy Edge and the iPhone 6s. Even BlackBerry CEO John Chen admitted that introducing such a high ticket phone was not the best thing the struggling manufacturer could have done. Sales of the Priv were understandably muted and disappointing. So it’s not often these days that the name BlackBerry and ‘what’s hot’ go together in the same sentence. But now BlackBerry has launched its first touchscreen-only Android handset, in a bold bid to diversify its range of devices, and for now at least, it is causing something of a stir in the mobile phone market. The new phone is called the BlackBerry DTEK50. It’s a smartphone – you can have any color as long as it’s black – which the company claims to offer improved security over rival Android devices, and, at $299 will cost significantly less than its previous handset, Priv. It is the Canadian firm’s second Android handset after switching focus away from its struggling BB10 platform – for which many of the most popular apps such as Whatsapp have simply given up providing versions. One analyst has described the new phone as the “right move” but that the company still faced an “uphill battle” with devices. And unlike the Priv, the DTEK 50 does away with BlackBerry’s signature physical keyboard and opts for a full screen. The company said it would go beyond selling the phone through carriers and offer the DTEK 50 through security resellers and other distributors as it angles for more business customers. While the Canadian carriers will sell the phone, in the US the DTEK 50 will be sold through Best Buy, B&H and Amazon. The DTEK’s main claim to fame is as the most secure Android smartphone you can buy. It features a 5.2-inch scratch resistant display, runs on Android 6.0 Marshmallow, and there’s a convenience key which you can map to your favorite app and much more. BlackBerry has hardened the OS on the DTEK50, and added a secure boot process to ensure that it is the most secure it can be. The DTEK50 can make suggestions to improve your phone’s security as well as give you much more information about what each app is doing, and what social media your apps are accessing. The phone also has unique internal hardware, with its chips protected by cryptographic keys to prevent tampering and thwart any would be hackers. An important advantage if you are one of the many who has switched to mobile phone banking apps. It was recently reported that mobile phone banking apps now outstrip traditional visits to banks and online banking via PC combined. So for that reason, a truly secure mobile phone such as the DTEK50 could be well worth investigating. The phone has 16GB of storage and 3GB of RAM with a MicroSD that can take up to 250GB of extra capacity. The phone has a 13 megapixel rear facing camera and an 8 megapixel front facing camera for selfies with geo-tagging, touch focus, face detection, HDR, and panorama. The BlackBerry DTEK50 phone is expected to be released August 8th, and only time will tell if BlackBerry has a winner on its hands for the first time in too long. New physical keyboard phones are also said to be in the pipeline. Did you know you can still benefit from everything that is so clever about a BlackBerry including BlackBerry Blend for seamless phone to PC synchronization, and the quality and slickness of the BlackBerry operating system without having to put up with a way too costly network provider? If you’re happy with your BlackBerry, but not with your service provider, we have good news. We’ve just released a new update for UnlockBase Cell Phone Unlocker Software (v1.0.1.0). This major new update to our software enables anybody to unlock by cable an amazing 372 BlackBerry and /or Samsung models, quickly, easily and safely. Waiting from server time-out bug corrected. Blackberry Unlocking Tutorial in 6 steps! One of the most popular phones brand on the market today is still BlackBerry. The versatile cell phones from BlackBerry boasts a wide-range of features, including Internet access, appointment scheduling, and still for most of their phones the physical keyboard… But as with any type of phone, it’s only good if it can work on your local carriers. If your BlackBerry is locked, then you’ll want to take the time to have it unlocked. 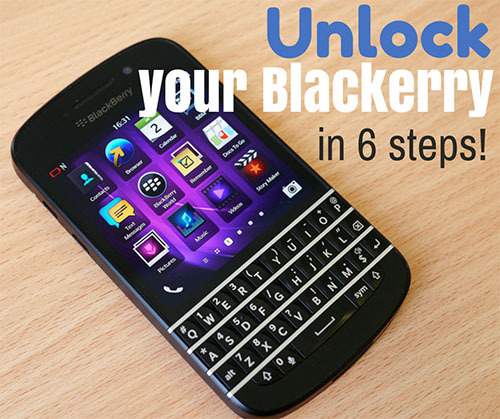 Fortunately, there’s a six-step process you can follow to unlock your BlackBerry. First, you’ll need to identify your unlock code, and to do this you’ll need your phone’s IMEI number. On a BlackBerry 10, click the Advanced tab under the phone’s Settings. A dropdown menu should include a Hardware Tab. Click it and you’ll see your IMEI number. On a BlackBerry 6, 7, 8 or 9 you need to click Device under the Options menu. Now click Device Status Information, and you can find your IMEI. If you have a BlackBerry 5 or earlier version, simply click Status under the Options menu, and you’ll see your IMEI. Or simply phone this number *#06# with your keypad. Now you will need to contact your carrier; most will unlock it for free if your contract is up. Tell them you would like to unlock your phone and that you already have the phone’s IMEI number. If your contract with the carrier is not up, then you may have to take a different route of getting your phone unlocked. If your carrier refuses to give you an unlock code, you can always pay a third-party service provider for one. Before choosing a third-party service provider. The provider will need your phone’s IMEI number, and although receiving the unlock code may take up to three days, in most cases, it only takes a few hours. Once you have your unlock code, you’ll need to go to your phone’s Settings and select the Security and Privacy tab. Then click on SIM Card and scroll down until you see Unlock Phone. Click this tab and enter your code, followed by clicking on OK. Do keep in mind that you have only 10 attempts to enter the number or otherwise your phone will be disabled. On a BlackBerry 7, all network connections must be disabled before entering your unlock code. To turn off these connections, go to Manage Connections and turn off WiFi and mobile networks. Now type “MEP[Alt]2”. You may then have to type “MEP[Alt]4” if nothing happens. Remember that pressing the Alt key is suggested so that you can type numbers. For 71xx, 81xx, and 91xx models, you will instead need to type “MEPP[Alt]2” or “MEPP[Alt]4”. At this point, you will now enter your unlock code. Fortunately, you have 255 tries, so it’ll be hard to mess up entering your code the right way. Once you have entered it correctly, insert your new SIM card. You can then re-enable your network connections to. To order an Unlock Code for BlackBerry models OS10 (Z10, Z30, Q10, Q5) as well as BlackBerry 9315, 9320, 9720 we just need the IMEI (Serial Number) of your BlackBerry. But for any other models (the oldest BlackBerry), we need either “IMEI + MEP” or “IMEI + PRD“. Finding the PRD of your BlackBerry is the easiest solution (click-here to see a method for finding the PRD of your BlackBerry) however this is not the most accurate method and many requests for the unlock code come back as “Not Available” using this PRD method. In this situation its best to find the MEP of your BlackBerry, and below is the simplest method to do this using the Original USB Cable of your BlackBerry and a Windows computer. 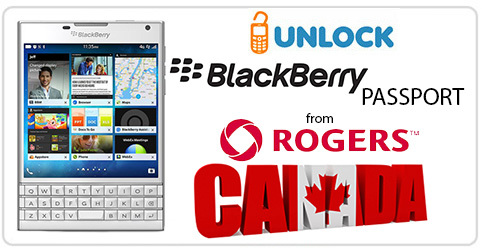 We are now able to Unlock the BlackBerry Passport from Rogers Canada. Our service delivers the Unlock Code of any BlackBerry Passport from Rogers Canada in 10<>60 Minutes during the working hours of our supplier (09:00 to 17:00 eastern standard time EST). There is no processing on weekends (all weekend orders are processed Monday morning). You can check pricing in our Wholesale Unlock Pricing page. We just added two new services to Unlock BlackBerry OS10 (Z10, Z30, Q10, Q5) and BlackBerry 9315, 9320, 9720 at a much better rate than the regular Express Service. One service work in 1<>2 working days, the second in 3<>4 working days. No matter the advertised time frame of delivery it’s the same service this mean you will get Unlocking Code of your BlackBerry just providing us the IMEI of your Cellphone. * As usual all our advertised prices are negotiable if you find cheaper with one of our competitors. Just contact us by email ([email protected]) if you found a better deal. 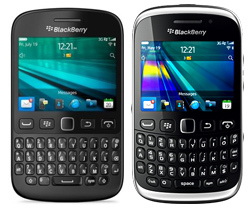 We just add 2 new products to Unlock the latest Blackberry 9320 and Blackberry 9720. These phones have Old MEP (MEP-30218-002) and but code generated by Calculator does not work as they have new security and the only codes that work are from the Blackberry database (Factory Code). For the moment most of these new security are coming from Telus Canada.